Installing a fence requires level posts, separated evenly. When placing the posts in the ground, it can be difficult to ensure they are all the same depth and will be level across the top. Attaching wire or fence panels to an uneven fence post will leave the job looking incomplete and diminish the clean lines of the fence. Using a few power tools and some patience, the posts can be leveled, creating a neat finished appearance to any fence. Place a T-bevel on the first post at the desired height. The T-bevel will ensure a level line and measurement. Draw a pencil line across the post, marking the desired height. Cut across the marked line with a circular saw to shorten the post and create a level top. Hold the saw steady as you cut to ensure it is a level plane. Discard the cut portion of the post. Measure the distance between posts to make sure your 2-by-4 is long enough to reach between them. 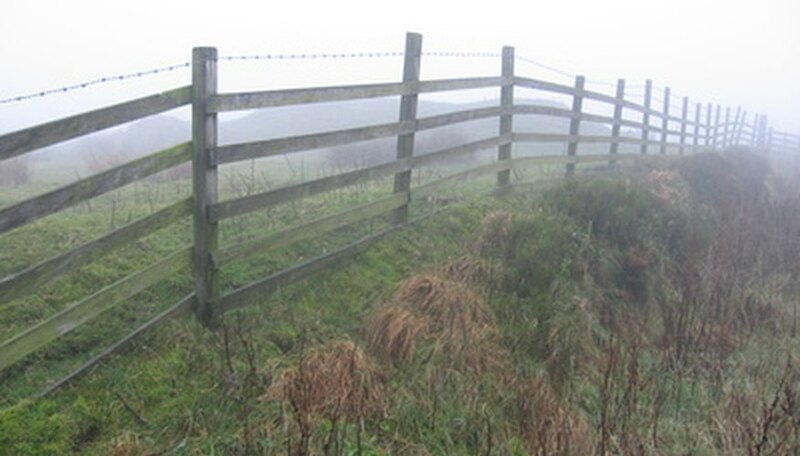 Generally, fence posts should not be more than 8 feet apart to promote stability of the fence. Place the 2-by-4 across the top of the freshly cut post and the next in line. Put a 4-foot level in the center of the 2-by-4 to determine if the posts are level with each other. Move the end of the 2-by-4 up or down until the level balances. Mark this spot on the fence post with a pencil. Draw a straight level line across the post with the T-bevel. Cut the top of the post with the circular saw along the pencil line. Put the 2-by-4 across the post tops and examine the level to ensure the cut was accurate. Move the 2-by-4 to the next post, repeating the process until all posts are level and cut. How Do I Fasten a Trellis to the House?